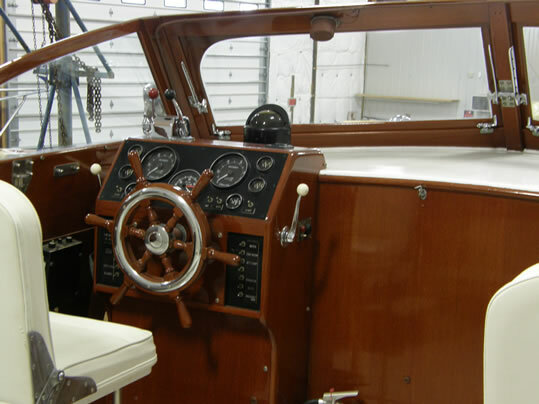 SOLD: A rare boat, one of only 113 built. Sistership was used as the featured boat in Chris Craft advertising for 1954. Great family boat! 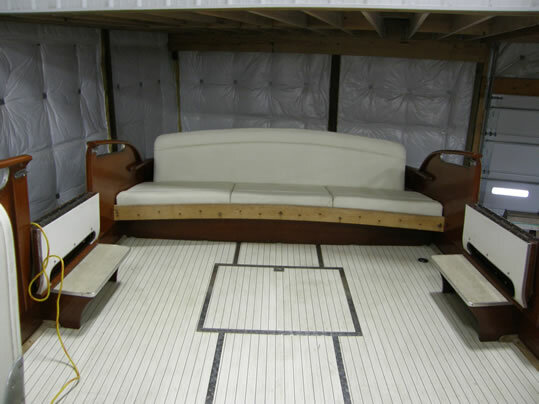 High aft deck coaming provides safety for children. Salon redone. 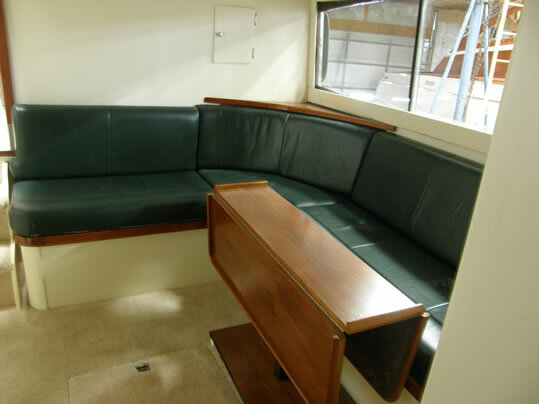 Wraparound couch upholstered in green leather. 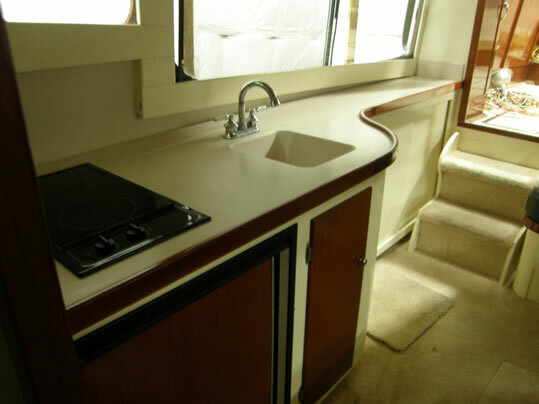 Corian galley countertop. Black hull like featured boat. Varnish just redone. 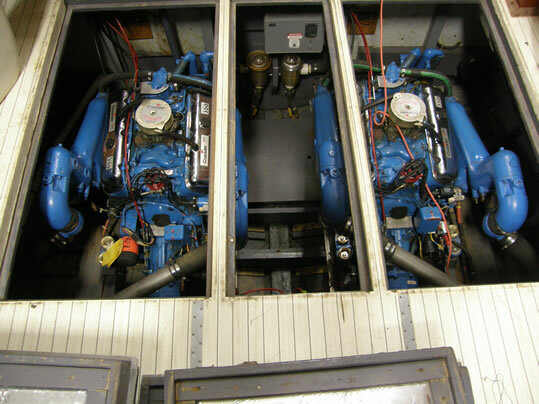 Increased power of 350 hp engines provides fast cruising speed, even with number of people on board. An excellent riding boat. 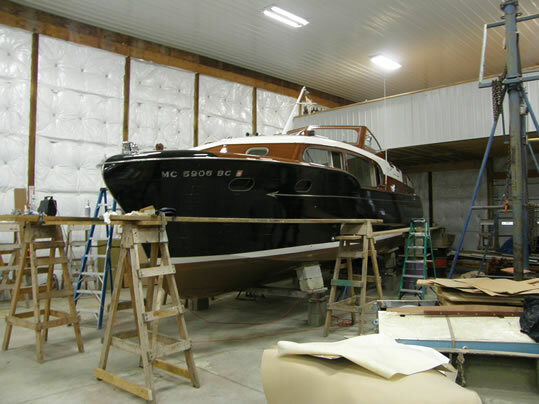 Black hull needs to be painted along with the upper white top.